I tried to make the best of my new life, such as it was. I adjusted to Larabee’s habits as much as possible—okay, to be honest, I went out, got one of those eye covers for sleeping, and taught myself the layout of the house so that I could wander around without the possibility of seeing anything that Larabee might not have covered. I still planned to move out as soon as I could. School was about to start back up, though, and I needed some place to stay during that. Cheap was for the best. I was still sort of employed since the archive reorganizing was still incomplete and they apparently wanted me to keep doing it, but it wasn’t money as much as something I could put on my resume to make it look better. I needed to finish school and get a real job. 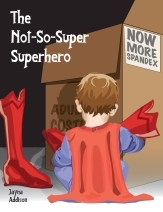 Contrary to Larabee’s conviction—I was never going to make it as a superhero. “Oh, I so killed you! Take that! You are so dead!” One of Larabee’s friends shouted, and Clayton arrived out in the living room just in time to see the man burst into dance. He winced. No. Again with the things that he did not want to see. Larabee had said he was having some friends over for the night. That was fine—at least Clay had some warning this time—but even having warning didn’t really make up for the fact that he was supposed to be sleeping right now and couldn’t. He’d tried. He really had. He didn’t want to interrupt the games. He’d put on music and done as much prep work as he could—he loved having professors that assigned work before the class even started—but he couldn’t concentrate or sleep. He could still hear them. “No fair!” the formerly dancing geek reached over to smack Larabee with his controller. Larabee shrugged. This must happen often. Larabee had said they were his friends—his guild—though when Clayton heard that, he’d expected a bunch of guys with big glasses, tacky sweaters, maybe suspenders, all carrying CPUs, putting together a LAN party. Of course, now everything had wireless and they probably just used laptops. This was different—it was on Larabee’s huge television and one of his game consoles. None of the guys had glasses, only one of them had a ridiculous sweater, and none of them had suspenders. One of them had a geek come on t-shirt that was lost on his current company—and probably most women, too. Clayton shot him a dirty look. If Larabee said anymore than that… He’d end up telling them all, wouldn’t he? Bragging to his guild that he knew a “superhero.” Then they’d all want to see what Clay could do. And then they’d start talking about it. Everyone would know he was a freak when he had decided that he was going to do his best to put this all behind him. For good. No, the random shifts weren’t going to stop, but he’d deal with them. Not that he was sure how he’d handle them if they happened during class, but he’d figure that out as he went along. Or he’d give up traditional school and do it all online. After he got a new computer. After insisting, yet again, that he would not be joining them in their latest round, Clayton went into the bathroom to wash up before bed. He took out the toothpaste and applied it to the brush, getting it wet. He was about to put it in his mouth when he felt the twitch in his fingers and dropped the toothbrush in the sink. “Not now,” he muttered, shaking his head in disbelief. There were people in the house. People who would want to use the bathroom. He couldn’t hide in here for the next twenty minutes. If he was fortunate, he’d stay an adult or teenager and no one would notice, but he usually wasn’t, and he’d end up some kind of kid instead. No hiding that from anyone. He stumbled, trying to grab hold of the sink to keep himself up, but it didn’t work. He fell. He looked up at the mirror again and sighed. He was right. He was a kid again. If it was only Larabee in the house, it wouldn’t matter. He could just climb into bed and sleep it off. No big deal. He could handle that. It was fine. Right now, though, it wasn’t. He wasn’t alone. It wasn’t just Larabee in the house. He might have to go past the others to get to his room. Not good. Not at all. And that was about when the handle started to jiggle. Great. He supposed if he’d been thinking he could have closed the curtain in the bathtub and hid in there for the twenty minutes he needed, but he hadn’t thought of that, and now whoever was outside knew someone was in here. “Orey,” Clayton supplied quickly, thinking of a last name he’d heard once or something. He really wasn’t sure anymore. “I didn’t want to be here,” Clayton agreed. He couldn’t believe he was pretending to be his own younger brother now. This was… perfect. “Well, gee, if we’d known Clayton was trying to get his brother to sleep, I guess we’d have been quieter. Sorry, buddy,” the t-shirt one said, and Clay made a face.